Great Wi-Fi security comes in affordable, small packages. 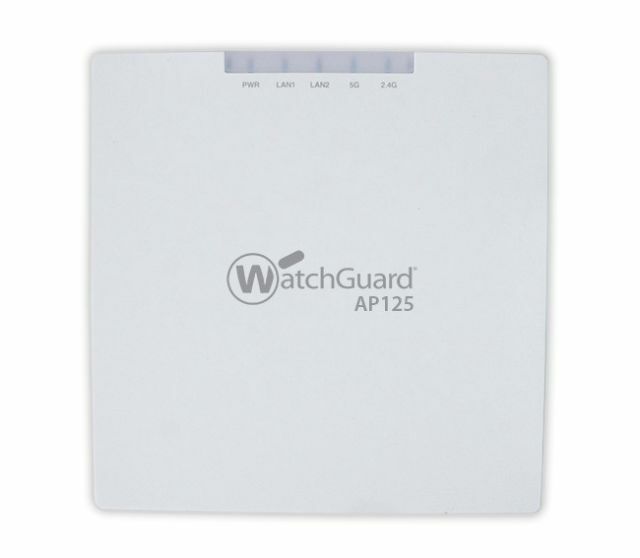 The AP125 from WatchGuard is exactly what you've been looking for - a small and affordable indoor access point that comes equipped with 2x2 802.11ac Wave 2 Multi-User MIMO (MU-MIMO). 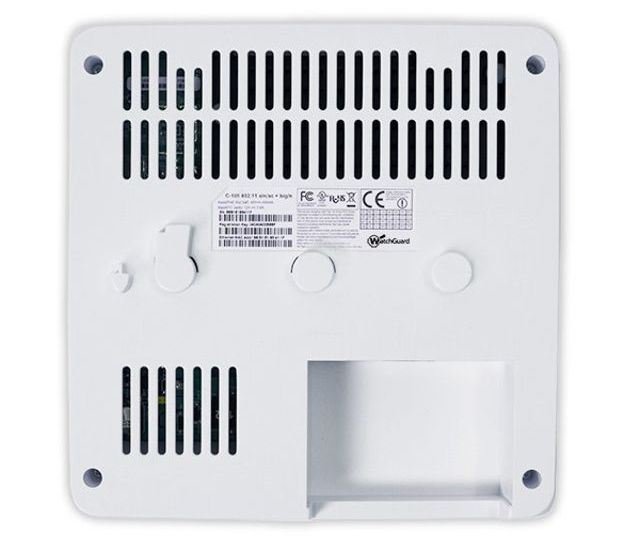 This access point also offers dual concurrent 5 GHz and 2.4 GHz band radios, and data rates of up to 867 Mbps and 300 Mbps, respectively. Common use cases include lower-density environments such as small schools, distributed remote offices, and small meeting rooms. 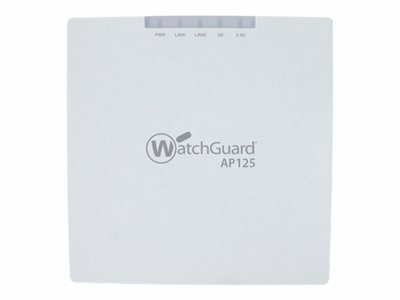 The AP125 supports the only Wireless Intrusion Prevention System (WIPS) in the industry with high accuracy in classifying access points and client devices, properly enabling automatic prevention of Wi-Fi threats and keeping a network protected from wireless man-in-the middle attacks, evil twins, honeypots, and more. 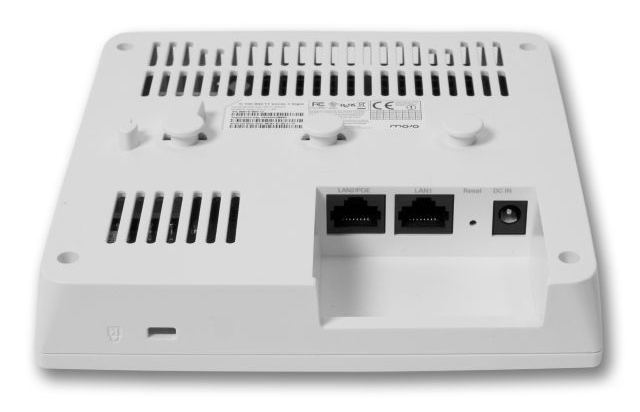 You can manage the AP125 with either a Firebox, via the Gateway Wireless Controller and receive a lightweight feature set, or with WatchGuard's Wi-Fi Cloud. With the Wi-Fi Cloud you get an expanded set of features including patented security, marketing tools, and location-based analytics for optimal business insights. IT pros can also enjoy an entirely controller-less Wi-Fi management experience including setup, con-figuration, monitoring, troubleshooting, and improved corporate and guest Wi-Fi access, without worrying about the limitations of legacy controller infrastructure. 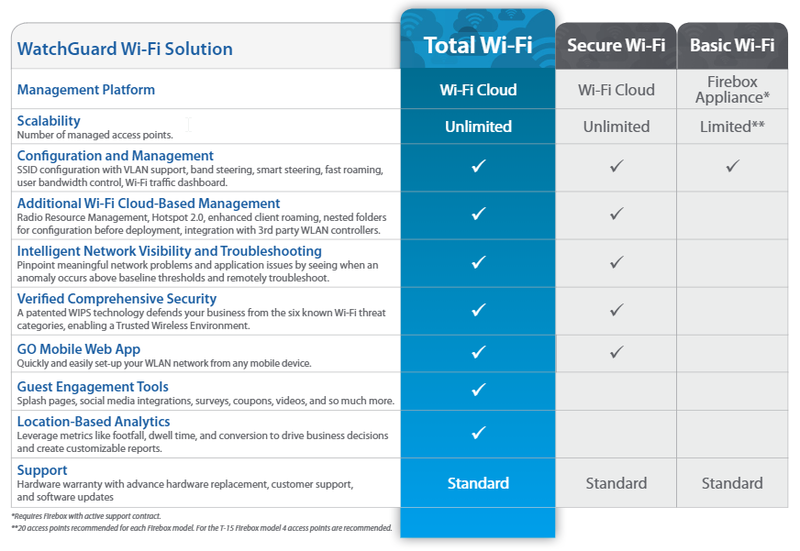 Wi-Fi Cloud en-vironments easily scale from one to an unlimited number of access points across multiple locations. Access points can be grouped in many ways including location, building, floor, and customer to maintain consistent policies. By incorporating the latest 802.11ac Wave 2 standards, you'll have speeds of up to 867 Mbps over the air, without sacrificing security. With MU-MIMO, you get faster user experience, serving multiple devices (smartphones, tablets, laptops) at the same time, so more clients can utilize the network more efficiently. *Must have Wi-Fi Cloud enabled with Secure Wi-Fi or Total Wi-Fi license. No matter what your wireless battleground is - remote offices, guest Wi-Fi, corporate access, public hotspots, outdoor environments - WatchGuard has a range of access points to fit your business needs. WatchGuard's Wi-Fi packages allow you to quickly and easily find the right set of features your business needs today...and tomorrow. Each WatchGuard access point has the flexibility to operate as both an access point and a dedicated WIPS security sensor. This means that when deployed as dedicated WIPS sensors, the devices work with your existing access points (Cisco, Aruba, Ruckus, Ubiquiti, etc) and add enterprise-grade wireless security protection to your network. In this case, instead of deliv-ering secure Wi-Fi traffic to users, we deliver unprecedented WIPS security protection that is 100% dedicated to scanning the air and protecting your business from wireless threats. Processor RAM Qualcomm IPQ4028 717 MHz quad-core ARM processor with 256 MB RAM and 64 MB Flash. Number of Radios 2 radios; One 2.4GHz and 5GHz radio each for simultaneous dual band client access. Dynamic Frequency Selection Supported in compliance to all latest amendments from FCC, CE, IC, CB, TELEC, KCCregarding certifications. Download the WatchGuard AP125 Access Point Datasheet (PDF).